I looked back at Maria. "Marvin likes plants, eh?" She said, sounding nervous. "Yeah. He has this special way with them!" I cried, laughing at the fact that he didn&apos;t. "I know he doesn&apos;t like plants, do you think I haven&apos;t got the JLS fact books and annuals?" She said with a chuckle. "Ah well I think he is trying to get us alone together." "Yeah. Marv likes winding me up and setting me up with girls and all sorts." I said hoping it would make her laugh, which it did. "Aston?" she said looking at me. "Yes." I replied. "I really like you, I mean what girl doesn&apos;t, but I know everything about you but you know nothing about me." she said slowing down and looking back at Marv, Jay, Reesh and Soph. "I know what you mean. I like you too. We have talked to each other about things but how about we get to know each other abit more. Lets just walk round the park and chat." I asked. I really want to get to know her. "Ok." she replied and we started walking again. I looked round to Marvin and put a thumbs up to tell him we are going to walk round and thanks for his help. We must have been talking for at least 2 hours when the boys and Sophie came running up to us. "You two coming back to mine now." Sophie asked I looked at Maria and smiled. I nodded my head as if to say if it&apos;s ok with you. "Yeah let&apos;s order a pizza." she replied. We made our way back to Soph&apos;s flat. It was the biggest flat I&apos;d ever seen, well it was nearly as big as mine and Marv&apos;s flat. "Wow nice flat. Nearly as big as ours, eh, Marv?" I chuckled. We sat down on the sofa. The boys and I took up the whole sofa so Soph had to get another 2 chairs for her and Maria. We had just got back from our walk in the park and Soph had just gone to get another couple of chairs. "Oi get up let the ladies sit down." Marvin said gesturing to Jay and Ast. "What?" Jay said surprised. "Come on JB. You and Aston are the youngest. So move for Sophie and Maria." Marv said as Jay and Ast sat on the wooden chairs and Soph and Maria sat on the soft comfy sofa. I stuck my tongue out at Ast and Jay who pulled an annoyed face and Ast laughed. "Ladies first." I said smirking. "Gentlemen just before." Ast said sticking his tongue out at me this time. "That&apos;s not true!" I protested. Ast just smirked. He was so cute. Soph rang the  for the pizza while I went to my room. I came out with some board games. "Who wants to play some &apos;old school&apos; board games?" I asked as 5 hands shot in the air with grins on their  faces. Aston had the biggest grin. I put them down on the coffee table in front of everyone. JB and Aston were still sat on the uncomfortable chairs. We played snakes and ladders, ludo, scrabble and loads more. It was 9:00pm and the boys were about to leave. 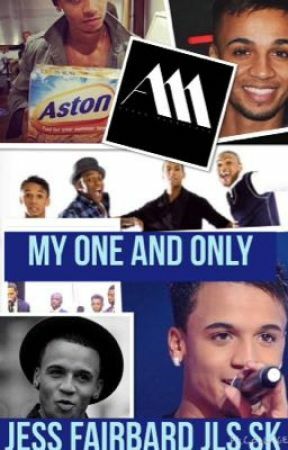 I have each of them a hug, then it came to Aston. I gave him a hug and said "Goodbye. Thanks for a great time." he whispered "No, thank you for making my day." then he kissed my cheek. Wow! Aston Merrygold kissed my cheek and said I made his day. This is the best week of my life!